3Teeth premiere new video 'Away From Me' - GENRE IS DEAD! 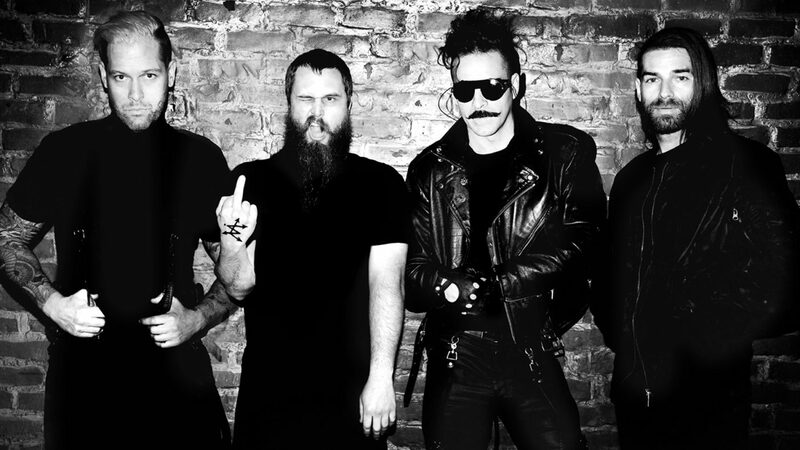 Industrial band 3Teeth shared their new video for “Away from Me” over on Loudwire. The dark clip features shots of political figures like Donald Trump, Hilary Clinton, Vladimir Putin, and the Pope. This is mixed with harrowing footage of soldiers marching, bombs going off, riots, protests, fires burning, missile strikes, and more as chilling reminders of what’s happening in the world today. Check out the video below. The song comes from the band’s upcoming album shutdown.exe, out May 19 via OMF records. You can pre-order your copy here. The band is also hitting the road this summer in support of the upcoming LP. Dates kick May 26 in Silverado, CA and wrap up July 28 in Calgary, Alberta for the Terminus Festival. The complete list of dates can be found below.